The 10 Best Zumba Classes in Arkansas! A great way to get a complete cardio workout—and have fun while doing it—is to take Zumba classes. Zumba is a trademarked method that blends moves from Latin and Caribbean dance techniques into a workout that you do to a driving, Latin beat. Here are the best places to find a Zumba class in Arkansas. Katrina—of Zumba With Katrina—offers a regular schedule of Zumba classes at several locations throughout the greater Little Rock area. Katrina has been a certified instructor for more than half a decade—her experience and enthusisasm is certain to get you moving and enjoy doing it. One of the best places for Zumba in Northwest Arkansas is the Jones Center in Springdale. The center offers several classic Zumba classes each week, as well as STRONG by Zumba classes, which is a higher-intensity workout that adds interval training to the music-led mix. Fitness One is small chain of health clubs with Arkansas locations in the Lowell/Rogers area, as well as Fayetteville. Both the Lowell and Fayetteville locations offer Zumba—one of the clubs’ most popular classes—on their regular weekly schedule. The Health & Fitness Center of the Conway Regional Health System is a 70,000-square-foot, state of the art fitness center—one of the largest hospital-affiliated fitness facilities in the U.S. Among their many offerings, they schedule regular group Zumba classes. There are several 10 Fitness locations in Arkansas, including Jonesboro, which means you will never be too far from a Zumba class. The class schedules vary by location, so be sure to check with the club you plan to visit to see when they are offering Zumba. Folks in Eureka Springs—and the Ozarks region, in general—will be pleased to know that Dawn, of Zumba and BollyX with Dawn, offers classes in both Zumba and Zumba Gold on a weekly bases. Check Dawn’s Facebook page for the weekly schedule and updates. In Little Rock, WOW Fitness offers several types of fitness classes, six days every week. Classes include boot camps, hip hop dance and, of course, Zumba. You can show up just for the Zumba classes or you can make them part of a personalized, custom fitness plan put togther by a WOW Fitness trainer. Grace Labbe, through her service Zumba Fitness with Grace Labbe, teaches Zumba Fitness and Zumba Gold classes in the Hot Springs area. Her “home base” is FBC Fitness, although she welcomes folks who aren’t gym members to drop in and dance. River Valley Fitness & Training Center is a state of the art gym and studio in Fort Smith. Members enjoy 24 access to the facilities along with regularly-scheduled group classes, including Zumba. Contact River Valley Fitness for the most up-to-date schedule. Pulse Premier Fitness has studios in bother Bryant and Hot Springs. 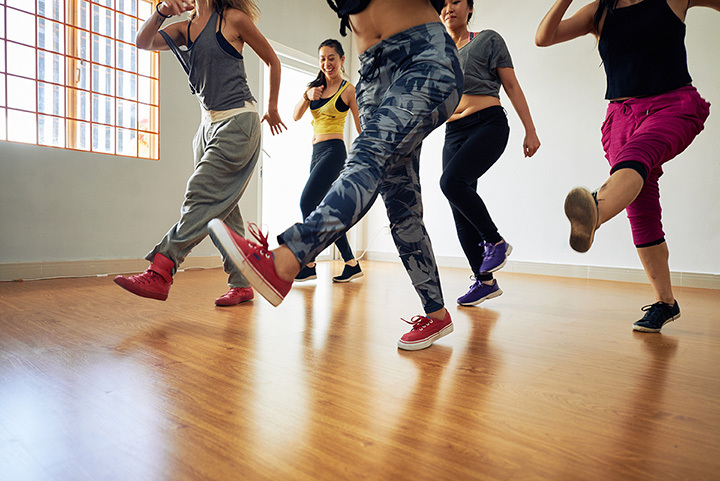 They offer regular classes in classic Zumba, as well as Zumba Toning, which combines Zumba movement and music with an emphasis on toning your core, arms, and lower body.